The main purpose of any sort of education these days are career based. Diploma Courses in India helps one do just that. There is a number of Diploma Courses in India which one can apply for. The duration and importance of each course varies. Diploma Courses in India are different from Degree courses. One can opt for Diploma Courses in India instead of undergraduate or Postgraduate Degree courses. 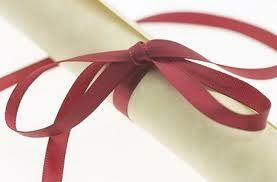 One can even have Undergraduate or Postgraduate Diplomas. The word Diploma might even mean a piece of paper that declares your level of education in certain fields. Diploma Courses in India is equivalent to a general degree instead of a specialized one. Post diploma people generally opt for degree courses to heighten their chances of employment. There are many colleges, universities and institutions which provide Diploma Courses in India. Since Diploma Courses in India are varied there are varied qualifications needed to apply for the courses. Most of the Diploma Courses in India can be pursued only after completing one�s 10+2 board examination. While some of the Diploma Courses in India can be opted for after completing the 10th standard. But Postgraduate Diplomas, as well as a number of other Diplomas, can be pursued after graduating. Hence we see how varied the eligibility for Diploma Courses in India can be. There are many who cannot afford a full college education in India. For such people Diploma Courses in India are the best ways of getting a job. The Diploma courses are generally short term courses which provide direct job opportunities. Even certain companies provide for Diploma courses to educate select few for specific jobs. The career opportunity depends upon the Diploma Courses in India that you opt for. Some courses, like Diploma in Animation, can get you jobs directly; while others, like Diploma in Engineering, may need you to pursue further education so as to be employable. Hence if your wish is to get a job then you should select a diploma course which can help you do so. Amongst the many Diploma Courses in India it will not be hard for you to select your desired course.